Hot & Flashy is for mature women who want to look and feel their best while in their hot-flash years! I’m Angie, and having recently celebrated my 50th birthday (4 years ago now), I can confidently say that 50 is the gift that just keeps on giving!! Want to look my age? Not so much! I used to think 50 was so OLD. I also thought that by the time I reached 50 I wouldn’t care how I looked. Well, I couldn’t have been more wrong!! Of course I still care how I look… and feel. Fifty is the new thirty after all!! And I want to do everything I can to look and feel my best. For me, the keys to looking good are: skincare, style, diet, and exercise. Because it’s not just about looking good, it’s about staying healthy and fit to enjoy the next 20-40 years. To that end, I’ll be posting about anti-aging procedures (needles, lasers, and maybe even scalpels), skincare, make-up, hair, fashion, nutrition, and exercise. So, I hope you’ll join me on my journey to see if it’s possible to maintain a little hotness in our hot-flash years! Hi Angie! I found your videos while I am recoverying from full abdominal hysterectomy I had recently started to implement a full health routine in the past 2 years. Yoga 3 days a week, drinking water and daily vitamins, But the anti aging face routine was so confusing on what to use. Now with my binge watching of your videos and the internet, I am setting up my face drawer my hubby will be hoping I’m release from bed rest soon. Haha. Thank you for all your informative information! BTW you look amazing! Hi Angie! I’ve been following you for almost 2 years and I love all of your reviews and “chemistry lessons” on skincare. I’ve just received “buffet” by the ordinary and made the mistake of applying over my Timeless Vit C serum. I ended up a splotchy mess as my makeup then oxided horribly. I assumed I would be able to use Buffet in place of the CoQ/Matryxl used your routine but that didn’t work. On The Ordinary site the Buffet is called a “water layer” and the Vit C is considered “oil” so should water be first then oil? Will this inhibit Vit C results on my skin?? I’m also wondering which layer niacinamide should be in evenings; I’m alternating nights of retin-A and PC BHA with Cerave moisturizer. Any suggestions are appreciated! Hi Loretta~ I think the Ordinary instructions are assuming you’re using an oil based vitamin c serum, but the Timeless is a water based serum so you shouldn’t have had a problem applying it over the Timeless C serum. Been a fan of your YouTube channel for quite some time now. Thanks for creating it and keeping it fresh and updated! One topic that I have yet to see on your channel is hair & skincare for swimmers. I’m taking a water aerobics class 4 days a week and am worried about undoing all the anti-aging progress I’ve made. Any tips or suggestions on changes in care routines and/or products? I follow your day and night skin care routines and LOVE them — we are traveling to Peru soon – and cannot take every product – so many bottles!! Do you have any suggestions? What do you consider your “must haves” – the ones you would not want to be without – of course sunscreen is the top of the list – what else? Thanks so much! Love your videos! I am so happy I found you recently! Have to chatch up, one video per night. 🙂 I react allergic on chemical filters and am searching a good – SPF higher then 30 – foundation for aging skin. Or maybe CC cream? Or tinted SPF product? Some of mineral SPF products dry my around the eyes skin. Do you have any recommandation or which video should I watch? I am searching for a good protection and a product which won’t make my skin white. Just found your videos and blog and I am loving them. I am on the cusp of 60 and love seeing your reviews and tips for aging gracefully. I just bought the Tarte Tape concealer, which I love. Stayed on through a run and my gym work out. Just wondering if you have reviewed or plan to review the Tarte Tape foundation in the future? Thank you for your great videos and especially for your honest evaluation of the tested products! Have you ever looked into the truth treatment system by Been Fuchs? He’s a pharmacist and cosmetic chemist. I would LOVE to see your thoughts on his products. There are only a few. I truly love & look forward to watching your YouTube channel every week! I’ve used Tizo, too, loved it and was recommended by my dermatologist! I gave some to my husband, literally, as a gift – and he loves it, too. He even kinda hoards it as he knows how expensive it is (I think $40). Recently I purchased, on a bit of a whim, Cotz, tinted, 40 spf. It feels and looks the Same as Tizo, for $12. I haven’t worn it much, but so far so good and a good deal! I am in the process of purchasing most of the products you use but do have a little fear when it comes to the prescription retinoid so I’ve started with Roc Retinol Correxion Deep Wrinkle Night Cream. I couldn’t find anything about it on your YouTube channel so I was wondering if you could give me your opinion of it here? Lastly, I notice at the end of all your videos you always thank us for our time, so I’d like you to know how much I appreciate YOUR time. You’ve obviously done a lot of research regarding skin care AND the ingredients that go into skin care products and the fact that you’ve taken the time to share what you’ve learned with the rest of us Hot & Flashy girls is very much appreciated! So, Thank You Angie! Just discovered you on You Tube. Love the information that you give. I’m 51 and like you feel 30. However, all the ladies around me look old and worn out. They stopped caring. I’ve been searching for woman my age who are still interested in making themselves look healthy, vibrant and pretty. So thank you for your passion and hard work putting this together. How can I follow you on Pinterest ? Hi, I have written to you before I never got a response, but I know how busy you are I wrote to you on Facebook, and I was asking about Hyaluronic Acid and if you are in dry weather like San Diego or Reno, after I put on my HA, Matrixyl and Vitamin C a combination serum, I put on an occlusive moisturizer like coconut oil, then an additional one like vaseline or mineral oil. It seems to have been working but I tried a straight HA and I think the molecular weight was too big. Also, I bought a really good Humidifier, and I do facial massage and dermarolling the right way. Never has my skin look so good. My question is since I live in Reno now, do you think the layering I do over my Matrixyl/Vit C/H Acid is the way to go? It has been working just thought I would ask. “All the ladies around me look old and worn out,” Aww Angie some women just aren’t fortunate enough to afford it. In my honest opinion I think every woman would like to look pretty. Also some women are worn out going over and above to keep their family and household happy. Not a very nice comment, didn’t expect that from you. Jane, Please re-read the comment so you’ll see that it was written by a viewer named Angie, not me. Hi Angie, i just found u last night and can’t stop watching ! I also live in MA. Who is your dermatologist? Can’t find anywhere! I go to Skincare Physicians in Chestnut Hill. I love your channel! You are so honest and knowledgeable about what works best in skin care, and you look amazing! At 55 I have decided to get serious about anti aging and to stay out of the sun. I have started using most of your morning and evening routine products. I have oily skin and although it’s not nearly as oily as it was a few years ago, it’s still far from dry. I added the mad hippie face cream a few months after the other products because I was finishing up an Olay total effects product that I already was using. My face has started to break out! I haven’t had pimples in years. I’m so sad because the mad hippie cream has almost all of the ingredients you talk about being important for anti aging! My face is literally covered in dots of oil a half hour after putting it on and is still shiny when I wake up. Do you have any other suggestion for a lighter weight moisturizer that I can try, that still has the good ingredients? Thanks Angie for all the investigation you do in the name of mature skin everywhere!! Just found your site..it’s midnight and I better get to bed although I could browse forever! I just turned 50 last week and your site is just what I need. You seem so genuine and real despite being gorgeous, and in today’s world of superficiality that is rare! Please add me to your email list so I don’t miss anything! Glad I found you! I am 53 years young. My neighbor told me about you. I am thrilled that you are giving us helpful tips on makeup, nutrition, wardrobe, etc. Seems like so many you tube videos are geared for the 20 somethings. So thankful you came on the scene. Love watching you!!!! I, as many others, thank you for everything. You make us feel & look better. Keep it going!!!! I found you on Pinterest too. I’m a huge blog follower and was thrilled to find you. So many blogs are geared towards younger women, which is fine, but 40-55 year old bloggers are few and far between. I would love to start my own blog, but just haven’t found a niche yet. I’m about to turn 51, and in between skin care programs. I’m thrilled I found your videos on morning/evening skin care routines. I ordered EVERY last product of your routine. I’ve been using it a week and can already feel a difference in my skin and already my foundation looks better! I’m so grateful to you and your skin care research…and sharing it! Looking forward to more videos!! I am 43, have watched you for just over a year and all of my skincare is based on what I have learned by watching you. I have also bought the majority of products you recommend and was wondering if you have tried theBalm Mad Lash Mascara. I received a sample of this through ipsy and I just love it! I was also wondering if you have tried any natural foundations? I have tried one by 100% pure and I really enjoyed it. I am very grateful for you and the knowledge you share for the older woman. With all the anti aging options I am so confused. Help! Do I need all of this? retinoid, AHA’s, hyaluronic acid & recently I learned about “buffet” from The Ordinary which has matryxil (sp?) & other things I think I “need”. I hv sun damage & some fine lines/wrinkles. Thank you for your input! I so enjoy your videos, offering so many great suggestions on skincare products. I wanted to share with you my experience with a HUGE (3/4″) age spot on my cheek bone. It started developing 18 yrs ago around the the age of 30. Just like my mom’s. Sept ’15 I started using Timeless Vitamin C + E ferulic acid and Matriixyl 3000 morning only and Ambi Fade Cream at night. I used Ambi for about a month and then read the ingredient in it Hydroquinone ([2%] was having some skin safety issues so I quit it. I continued using the other 2 products. In March I switched from Matrixyl to Coenzyme Q 10 Serum and in mid May my spot began raising around the edges and become very red, itchy and scaly. I panicked thinking cancer and made an dermatologist appt (not easy to get and still waiting). In the 2 weeks all symptoms are gone AND SO IS THE AGE SPOT!! There is a very like pinkish residue. Now I do have several other much smaller spots that were not affected but it’s still incredible that this happened and not sure which combination of products or one did this but I am so happy. Unfortunately am still keeping my appt because while this miracle was happening I started developing Perioral Dermatitis. YUCK!!! I am pretty sure from seeing similar pics and reading up on it. I think this was brought on by stress which I have been chin deep in for several months. If you have any suggestions I will definitely appreciate and follow up on. Thank you so much. Markings on the skin. As a matter of fact the over the counter cream is also available. It is called Amlactin. It is an excellent emollient for the skin but also takes away ahpge spots, small wrinkles and those little bumps sometimes on a woman’s thighs. I use it twice a day and it really makes my skin so smooth. I also use n my face . And it was at just that time I had begun using Abilene creme,petroleum based, to clean my makeup on my face then would leave it on for moisture. It was also a time that I was moving somim sure it was a tense time for me. want to know what your advice is on sun exposure as a whole? I know there are spray tans and self Tanners so if that’s your recommendation with zero sun exposure please let me know. Another question I have is what you would recommend to cover up a couple of small vertical lines that I have horrifyingly now developed in my lips. Again I have watch several of your videos and I do apologize if you have already covered this topic. Thanks so much. Stubbled upon your site from Pinterest and boy I’m so grateful that I found you. I love your honest straight up reviews on all products not only when first applied but after hours of wear too. I think I’ve read every post and look forward to many more to come. As a 43 year old busy mom I’m forever searching for the “holy grail” of concealer and mascara and my hunt continues. Living in Austria has proven to be more challenging to replenish my favourite products as well as buy new ones but thankfully I always return home to Canada once a year to visit family and friends as well as stock up. Keep up the amazing work! You look amazing! All the best from Vienna. I heard of you 5 days ago and have already watched over 30 of your videos. I have thin lips (almost no visible top lip) and almost no eye lids. What would you recommend for someone like me. I turned 50 in November. That month I spend over $400.00 on Clinique products from face wash to foundation to mascara. After watching your videos I realize I made very poor choices. I pretty much assumed that they would be good products. I wish you did makeovers. Happy New Year! I just found your You Tube channel and blog by searching “eyeshadow application for over 50” – I turned 55 last month and most of the tips my 19 and 16 yr old daughters give me just aren’t working! (My 19 yr old asked to apply my makeup one day, and was shocked at how different my skin in from hers…umm, tell me something I don’t know?!) After 27 years of motherhood, I’ve spent decades neglecting myself. Now comes the hard part: I’m trying to reverse – or at least slow down – the damage I’ve done to my skin over the years, and also up my game with better makeup techniques. So far, I’ve really liked what I’ve seen and read. You’re very encouraging and easy to watch. Thank you. I recently turned 46 and in a matter of weeks noticed lightening speed changes in my skin, specifically the facial area. I Googled best moisturizers and stumbled upon your You Tube videos. I have been faithfully watching ever since, attempting to watch 2 videos a day in an attempt to catch up! Hi Susy, and welcome!! I admire your diligence of trying to watch 2 videos a day!! I hope you don’t get sick of seeing me. . . LOL!! Hi Angie, I am from Prag in Czech Republic and I am inspired from you through YT. Just only question which city/country do you live? Thank you for answer and I wish you a MARRY CHRISTMAS.. with LOVE. I love love love your videos! I really like your foundation friday segments. Would really like to see you review of TERRAFIRMA mineral makeup. It came recommended by another you tuber but they didn’t really show how it wears like you do. You do such a good job of showing application and wear. I currently use the Nyx powder foundation but am always on the look out for the perfect one. Just found you recently and want to thank you for your dedication to the topic of aging beauty. I love the title of you blog…very clever. I don’t really agree with the ol’ “50 is the new 30” statement, though. If that were true, it would be safe to have babies and my joints wouldn’t ache the way they do! My fave remedy for hot flashes is a simple silk folding fan that I take with me everywhere I go. Ahhhh…blessed relief. I’ve been following you for about 6 months now and have incorporated many of your skin care tips in my daily routine. I love how in-depth you are with each tip. Very informative. I appreciate that you’ve done your research which is an added bonus. I have only just found your blog and Youtube channel and have been jotting down all the hints and tips I can, thank you. I just never knew these things existed! Where have I been? I am 67 and I can’t find any ‘beauty’ blogs or Youtube channels more age specific, but there is much you share that I can use myself. It has all been very helpful, particularly just now the tutorials for droopy eyelid makeup. I am also in the UK, so can’t always find the items you use but never mind, I can find similar or wait till I am in the US to try and buy. I see a lady who replied earlier is also older and in the UK. There must be a need here! Hi Angie, I’m hooked on your site and recommended to all my girlfriends. My girlfriends and I started “the change” about the same time (8 yrs ago) and formed a weekly girls club called the “menopals”!, in which we shared and compared notes on all aspects of anti-aging . Your blog has been the icing on our cake. We appreciate your candor, honesty and humor. If it’s not too personal, would you comment on the use of hormone replacement therapy, and/or natural methods of managing your Hot and Flashy symptoms? Your successes and failures, thoughts and opinions with these anti-aging options? We are mindful of the controversy and sensitivity of the subject in respect to cancer; and that you make no claims to promote. I just want to thank you for this wonderful blog!! I am 53 years old and look a lot like you. I want to be classy, stylish and pretty for as long as I can, but I am not trying to look 17 again. I just can’t find a magazine that caters to this crowd. I subscribed to MORE, but it was nothing at all like my life. I am the mother of four, grand mom to 1.5, work full time, am working on my master’s degree, middle class, and like my category. I happened to pick up Woman’s Day magazine on Thursday as I was traveling from California to Pennsylvania. I noticed your blurb in there and couldn’t wait to check out your site. You are absolutely perfect!! I wish you much success and hope you can parlay this into something more……….there are a lot of us!!! I was browsing YouTube and found your channel while I was looking for tips on makeup for mature hooded eyes. I love all your tips and info on makeup, health, skincare, fashion etc. I will be 60 in August and like you I have an issue with cholesterol. I really enjoy watching you cook healthy recipes and I’m going to try some of them. I will definitely be reading your blog and watching you YouTube channel from now on. My only complaint is as I live in Australia I can’t get some of the products you like lol, oh well never mind I’ll survive. I wanted to tell you that I really enjoy your Youtube channel. I imagine that you are also modelling for I’ve seen you in an ad about aging skin, stating that you are Canada’s Oldest Working Model (68). I hope you were compensated for this and it’s not a stolen image of you. and at the bottom of the site is a sponsered ad with your photo. Maybe you can contact Elle for accepting such scam advertisers! Best of luck! Can you believe she is 68 years old and without Botox or surgery? Amy Miles is not your average 68 year old. Known for her incredibly youthful appearance, Amy is the oldest working model in Canada proving that age is just number. Recently, Amy posted to her Facebook the anti aging treatment she says is the backbone of her stunning looks at age 68. According to Amy, her incredibly youthful looks are the result of 2 ingredients she says “completely stave of wrinkles and maintain soft, supple skin”. According to her, she begain using these ingredients last year and began to see noticeable changes in her appearance within 1 week. Are they using your photo? of your video’s and I am really impressed. You talk with a lot of confidence and you’ve really done some serious research, on yourself. You certainly don’t look like your 50, that’s crazy! credence to the technology and research in the multi-billion dollar industry of skin care products that both men and women are using and we, the consumers will pay for results. I have to say I am still sceptical when it comes to what can actually be accomplished by lotions and potions though, it’s hard to know what to believe…so thank you for doing your own research and sharing it. I started using Paula’s choice, as recalled her years ago, on talk shows, and I used to wait for her run down of products and what was in them and what was good value and what was a rip off! started to go hollow and I have really lost a lot of volume…and so I am truly thinking of trying the fillers again in the cheeks as you have. Thanks so much for sharing your voyage with the public, it’s just so generous of you, and so very helpful, not a lot of people would dare do what your doing. You make it seem to natural and normal, which it is for so many women…but they choose to keep it to themselves. I found you while surfing for some tutorials on makeup for “mature” women! Ha! I have found that at the ripe old age of 58 many of my old products are no longer working. 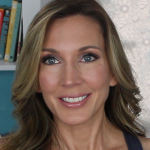 I am on a mission to “redo” my makeup…to find new products that work for me today!! Then, I found your site on a Youtube video!! You are absolutely fabulous!! The answer to all the questions and solutions I was seeking!! Love You!! I’m a big big fan. Please keep up the wonderful job of making us women “of a certain age” look and feel great!! Angie! I stumbled upon your YouTube videos after desperately searching for information about “Actinic Keratosis”. At 38, I visited my dermatologist this week after a “wart” above my eyebrow wound’t go away after a month. She said it was a “pre-cancerous” spot and used the cryotherapy to remove it. I’m on day 3 of it healing and have been desperately searching the internet for face products for fair skin, combo complexion, with sun damage. HOLY MOLY. There is a lot of scary and not practical information on the inter-webs! I’ve made a list of some of the products you’ve tried and recommended from your videos. THANK YOU! My dermatologist gave me a Rx for Retin A .0025% and I’m going back in a month to check the spot where she did the cryotherapy and for “Phototherapy with the blue light”. I’m healthy, exercise, and eat healthy and hearing the words “pre-cancerous” spot on my face has certainly been a wake up call for me to be more vigilant about proper care for the outside of my body, not just my insides. Thank you for sharing your PSA and I look forward to watching more of your videos. i am like lulu. i just started watching your videos and i love them. i love the hot + flashy name too, very clever. i have been watching a lot of tutorials online. i do appreciate all of the work that these younger people do to showcase products, but it is refreshing to tune in to a channel and see someone talking about solutions to the “challenges” that we face at a certain time in life. Angie I viewed your video on tarte cc be matte nificent palette and love the color combos. But seems it has been discontinued. Would you recommend or do another video on similar colors. Love your videos. I am 72 and your tips for mature women are just great. Angie, I have been so inspired to keep trying, after watching your videos. I lost 125 pounds in 2 years after being overweight my entire adult life (and never bothered with skin care or makeup because who would be looking?) and now, I have sagging skin all over. I am 55 and I feel great for the first time in many years, but still feel so horrible about the way my face looks, like a basset hound. Can’t afford plastic surgery so I’m doing lots of exercising, walking, drinking water, getting enough sleep and eating right. My facial skin looks to be in decent shape. Anything you can suggest that helps to firm or tighten skin, without surgery? You are so brave to show a bare face to the world and try out all these products that we all wonder about, and thank you for anything you can tell me. I am a bit of a latecomer to your web site and YouTube channel. I stumbled upon both quite by accident. I am delighted to have found both as I am weary of mostly having only twenty-somethings pontificate on beauty and health. So happy to have found you and that you are not preaching that one dresses/behaves, etc. “one’s age,” whatever that means. Thank you for your efforts!! Keep up the good work! Looking forward to many more informative, fun, and, yes, delightfully fresh and sassy blogs and videos from you in the future! Angie, So glad that i have found, have been watching your videos for a while but just found your blog. Thank you for what you do. I am turning 50 in 2 days and look forward to incorporating your life/beauty tips into my every day routine. Thanks for doing this Angie. It’s great to see someone about my age rather than someone who is 24. Thank you for testing out products and reporting back to us. It’s good information and it’s good for younger people to know that you can be beautiful and healthy as you age. I love your blog and also youtube Chanel , I am not 50 yet but very very close however your thoughts on taking care of oneself are inspiring , what is your take on natural skin care ? Do you use any natural products ? If so could you share your views I am a frequent whole foods shopper and they have pretty nice large selection of skin care have tried anything like that . I wanted to share with you just how much of an inspiration you have been to me (and thousands of others). Like you, I will be 52 this year. Also like you, I don’t look 52. Some say early 40’s, others say late 30’s. I’ll take either! I’ve always been pretty lax about my skin care, though. Mainly because I’m lucky enough to have good genes to get me by. However, once I got into my late 40’s I began to see some changes that, well, scared me! Shocked me! I was ambushed by my skin! products. Mostly Estee Lauder, as I do love their Advanced Night Repair serums and their “anti-wrinkle”creams. I was on the RoC binge for a few months, too. However, another change in life is that I find myself able to retire from my 24 year supervisory Network Analyst position next year. At that time I will need to watch my pennies more closely, so I should probably start weaning myself from the more expensive products when something less expensive will do the trick. That’s when I stumbled upon your Hot-n-Flashy videos on YouTube. Thank you! Thank you! Thank you! I had no idea that someone could just make an appointment with a dermatologist and simply ASK for Retin-A. I don’t know what I thought really, but your Nighttime Routine video suddenly awakened my curiosity about it. So, I found a dermatologist, got a prescription and some samples. Easy. I’ve been using Tretinoin .05% every night for 3 months now and I’m happy with the results. I do see some improvements in my scary/ambushy areas. I also got some unexpected benefits with my eyelids becoming more “open,” looking less tired. I think the puffiness under my eyes has lessened, as well. My derm also gave me two small samples of Skinceuticals CE Ferulic serum. So, of course, I fell in love with that, too. However, I don’t want to spend $150 a pop when I’m about to retire. I so wish I had seen your recent vitamin C comparison video just 24 hours before I hit the purchase button on my Cosmetic Skin Solutions CE purchase (I would have gone with TimeLess instead). I haven’t used the CSS serum yet because I’m still squeezing out the last drops of the samples from the dermatologist. BUT! I am storing it in the fridge in the meantime. AND! I plan to use the empty sample bottles to keep the serum in the bathroom cabinet while I store the bulk in the fridge to make it last longer. You’ve turned me on to Ceravea PM Moisturizer, as well as the importance of using a daytime moisturizer with sunscreen of at least 30 spf. I’m very fair complected so you’d think I would already know these things. I’ve also recently started using Olay Micro-sculpting serum to compare with Estee’s ANR serum. I plan to incorporate the Micro-sculpting cream soon to see how I like it. I’m telling you, Angie, you have been a wealth of very valuable information. we’ll see how that goes. still see you on the other side into our 60’s. I came across your Youtube channel after Google’ing options for removing/reducing smile lines. I am only 35 (about to be 36 in October) but my smile lines are already appearing, and are about the same as yours were, pre-Juvederm treatment, age 50! I am also starting to see the eye creases… (Kicking myself for thinking my olive toned skin was invincible and not using sunscreen in my teens and early 20’s!) So, nevertheless, I may not be 50, but I can learn and benefit from your work. I am extremely thankful for all of your research and willingness to share what you have discovered. You are absolutely beautiful, and my new idol. Thanks again! Angie – I stumbled across your You Tube video the other day and I’m so glad I did! From there, I found your website. Even with the Internet, it can still be difficult to find good beauty information for those of us over 50. As you have mentioned throughout your videos, tutorials and blog entries, we can’t apply makeup the same as we did in our youth. Knowing what to buy and how to apply can be frustrating to say the least. I’m ashamed to tell you how many times I’ve wasted money on products that weren’t right for me in an effort to look more youthful. You’ve done a nice job of tackling some of the big problems associated with aging and I’ve found your information so beneficial. I, too, have hooded eyes and I used your tips last night for applying eye shadow. It made such a difference! I have also consciously changed my eating and exercise routine as I’ve gotten older to stay fit. I’ve been able to control my blood pressure, sugar and cholesterol with diet and exercise, but it has taken work and it’s sometimes not easy. Thanks for devoting your time to us mature girls that still want to look ‘hot and flashy’ and look the best we can at any age. I also thank you for your candid conversations about the problems we face. Please keep it up! I just wanted to chime in with so many of the thanks that others have given to you! I am 55 and have always been comfortable with my make-up skills…ha ha. Natural looking and appropriate to the business world. Well…this aging thing takes the demand for new skill sets to an entirely new level. I was recently video taped at work as part of professional speaking development training. Who was that old and very tired woman with those hooded eyelids???!!!! I found it almost impossible to concentrate on the trainer critic of my speaking delivery….jus look at that older woman that had taken over my identity!! Now here was a cruel identiy theft indeed! Well now I have found you and I am on the mend!! I just love you. Thank you soooo much. No, I’m not on Instagram, but thanks for finding me on Twitter! I just found your YouTube channel and I love them. I just noticed today that my eyelids are sagging…….I was not happy this morning. Friends said I was tired but I’m 43 so I think it’s more than that. I think I might try the Olay eye serum…..see if that helps a little. By the way you do not look 50. Beautiful skin! Also have you tried the BB creams that are the rage now? Im not a big makeup person anymore just want to even out the skin tone. Really excited over! I am just discovering all your tutorials that I am loving. Of course though I don’t have a chance of looking like you! Hi Angie, I’ve just found your youtube channel which led me here. Your presentation is fabulous, you have really helpful information, and I love your product reviews! Hi Angie, so glad I stumbled upon your video blogs. I turned 50 recently and I am so frustrated by all that comes with aging. I love hearing your take on aging and love hearing about products that work. You are beautiful too and that is inspiring. Thanks for sharing. Many of us women of Scandinavian or Slavic ethnicity have that heavy lid thing – it’s in our genetic structure – probably a throwback to trekking through the blinding snow after hunting and gathering all day -? Who knows? Who cares! I gave up on wearing make-up in my 50’s when nothing would stick to my hot-flash induced sweaty face unless I wore enough makeup to look like a clown. Not gonna happen – so I reverted to my ’60s motto of “the natural look”. Yeah, right! Now at 66, though I am not unattractive, my lids get so sticky, and are so heavy and droopy that even though people I talk to respond positively to my smile and attitude, I also see the “sweet old thing” in their reflective gazes, as well. I am not THAT old (and definitely not always that sweet, either!) I am still working, in an office environment (ugh) – so I really need to regain the respect not only for my work but for my attention to myself that defines our society so much these days. Anthroplogists will tell you that all beings and human cultures groom and decorate themselves – so I realized I needed to redefine natural. Today, I did. I found you. I’ll let you know how it goes – I’m out to get a few starter items, after I inventory what I have, and toss the old stuff. I can’t thank you enough for taking the time to do this – I will be sharing your website with sister-sufferers (much older than you!) who need to know there’s a “little sister” out there with some amazing intel on age old problems. I found you by accident too; so glad I did! I hear ya Del! I’m so tired of ads/movies etc… only focusing on 20 and 30 year olds! 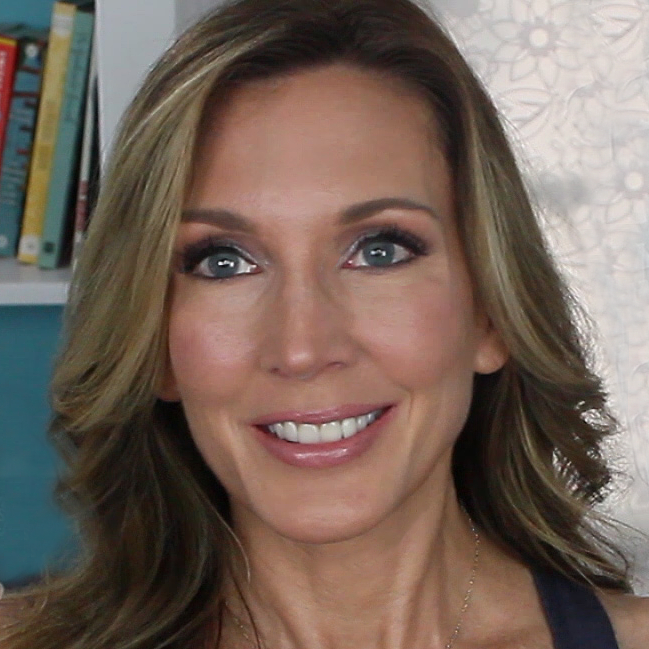 I’ve always had very oily skin & gave up trying to tan a long time ago, so my skin has always looked younger than most women my age ….until last year when I crossed over that line into menopause (which i think should be called the end of peri-menopause instead!). I’m 57 and have been furiously trying to find solutions to all of the horrible things that seemed to have happened overnight. I never watch u-tube, but found your videos through a google search for ‘how to apply make-up to saggy eyelids’. Since then I’ve been glued to my computer trying to make up for lost time. I’d become so depressed while trying to figure out how to apply make-up to my ‘new’ face. And I was getting more and more discouraged about what skin care products to buy. Who has time to try out different ones for 3 months to see what works and what doesn’t? I found you through you youtube, finally a channel that is not for a 20 year old. You look amazing and I love your style. Ii am so happy to have found you on YouTube. I too just turned 50 and feel just like you….it’s the gift that keeps giving AND not in a good way. Love your routines, reviews and suggestions! Please keep ’em coming! I found you on Youtube by accident. I’m so glad I did. I just turned 53 and love watching about things that concern women our age, now the younger gals. I was going to ask you to do a video on working out and I scrolled and found one. YAY. I live in Indiana and it’s so darn cold so I can’t get out to walk in the winter months. I’m going to invest in some DVD’s to workout to at home, thank you for the encouragement. I work in a hospital as an Administrative Assistant and sit for several hours a day. I take the stairs when I do have to go from floor to floor but I need more exercise in my life. I’ve also started paying more attention to my diet. You are an absolute breath of fresh air and I look forward to seeing more videos. Thank you for being so open and out here for the rest of us. Thanks so much for taking the time out of your day to check out my blog, and watch on YouTube! It means so much to me that I could help inspire you to lead a healthier lifestyle. It sounds like you’re doing great by taking the stairs, and paying attention to what you eat. I’d be interested to hear which workout DVDs you choose… I’m always looking for new titles to add to my collection, and I wanted to let you know that “Collage Video” (www.collagevideo.com) is a great resource for comparing DVDs so you can select one that’s just right for you. So happy to have found you! We have a few things in common…..our name and our age! I look forward to seeing what you have to share. Catching up on your YouTube videos. I love all the videos and information. I just turned 60. After menopause I have been losing my hair to the extent that I am now looking into hairpieces. Have you heard from others with this same problem and what they have tried that may work. I’ve been using rogaine for more than 15 years and am afraid to stop using it as it may become worst. I’ve tried all kinds of vitamins (saw palmetto, pregnancy vits., biotin, etc. just to name a few). Nothing has helped, Desperate to hear from others.